John Flannery is selling the struggling conglomerate’s sputtering locomotive unit to Wabtec for $2.9 bln and half of the new outfit, most to be spun off to shareholders. It’s not transformational but it removes a big headache and indicates how Flannery might shed other assets. The ticker and logo for General Electric Co. is displayed on a screen at the post where it's traded on the floor of the New York Stock Exchange (NYSE) in New York City, U.S., June 30, 2016. Wabtec on May 21 said it was buying General Electric’s transportation business for $2.9 billion in cash and a 50.1 percent stake in the combined business. 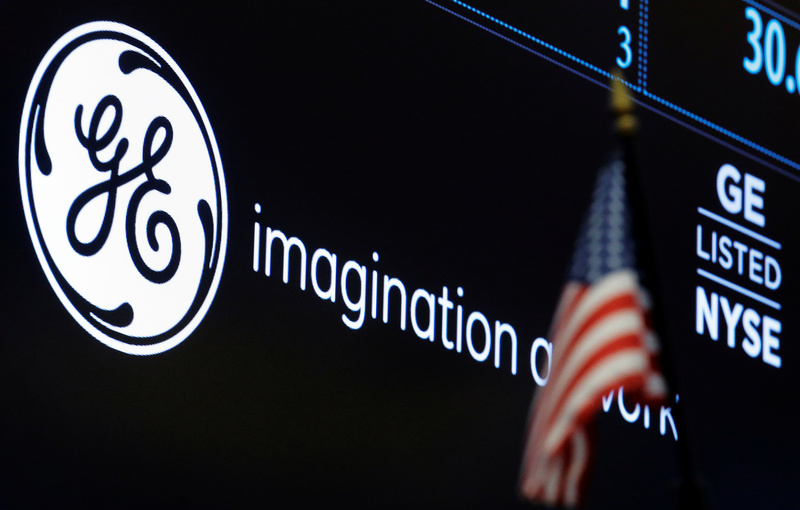 Under the transaction, GE shareholders will receive a 40.2 percent stake in the merged entity and GE will retain a 9.9 percent stake, which it must dispose within three years of the deal’s closing. At Wabtec’s closing price of $95.19 on May 18, the stake going to GE shareholders and the company would be worth about $9.2 billion. The enlarged Wabtec will have approximately $8 billion in revenue. Executives expect to generate annual cost and revenue synergies of $250 million by 2022. The transaction will produce a tax benefit of some $1.1 billion for the combined company.